You know your business! We know telephone systems! At JDS Consulting, every situation is unique - just as your business is. So when you engage with us, you get to leverage more than 50 years of combined telecommunications experience to best meet your needs. It's also why we consider ourselves consultants first and not just equipment resellers. We are not aligned to any one vendor and have no quotas to meet. 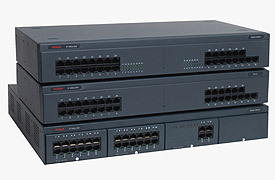 We simply want to help you get the most out of your existing telephone systems and equipment. How do we do that? We start by always being conscious of the bigger picture – taking care of our planet! What does that have to do with business telephones and telephone systems? Well, a great deal, actually! 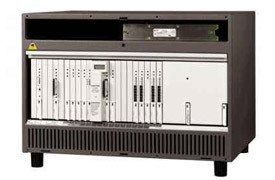 We believe that one way we can do our part as good stewards is by showing you how to get the most out of your telecom investment by using refurbished, remanufactured and unused telecommunications equipment. In today's business consumer market, you'd be surprised how much lightly used and unused equipment there is in the marketplace that some say has become antiquated. Well, we don't believe that. At the end of the day, when it comes to telephone systems, we know all most organizations really care about is that the system works and is reliable. We've built a business around helping organizations get the benefits and value when this equipment is given “new life” – a far better use than adding to a landfill somewhere. And if you need new, state of the art, solutions, JDS can provide that as well. 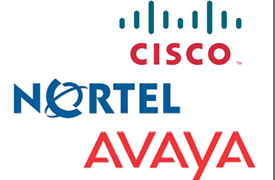 We are Avaya, Cisco and Nortel resellers and we can get you great pricing on all your equipment needs – new or old. So whether you're trying to get the most out of your old Avaya Partner system or you're interested in upgrading to the latest Cisco VoIP collaboration end-points, JDS is here to help! Chances are, when you call JDS Consulting, you'll eventually end up speaking to Scott Harris. And that's a good thing. Scott brings over 30 years of individual consulting experience to all facets of the telecommunication industry. He's a hardware guy and can help you "cut to the chase" on all your telecommunications hardware and system's needs. After a distinguished military career (US Navy), Scott cut his teeth with the old New York Telephone company and became an account executive with AT&T. He became a product manager and a board member of NAATD (The National Association of Telecommunications Dealers). 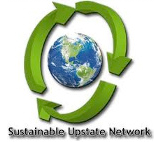 He is also a charter member of SUN (Sustainable Upstate Network), a group of organizations that work to promote environmentally sustainable business practices in the Central New York State area. He is a past president of the Central New York Communications Association, and founder of STL East, an Avaya Business Partner. But ultimately, what Scott enjoys most is helping organizations get the most from their telecom investment. As Director and Sales Manager of JDS Consulting, he's uniquely suited to do just that! Our goal at JDS Consulting is to work with clients and show them better, more-sustainable ways to meet their telecommunications needs. One way we do that is by extending the longevity and capabilities of their current systems through our in-direct 3rd party telecom parts market. By doing so, we allow clients to realize both initial and long term savings and efficiency. We know all most organizations really care about is that the system works and is reliable. JDS Consulting is committed to helping organizations get the most from their telecommunications investments by making parts available after the manufacturer has decided to take them off the market. Put another way, we strongly believe that just because you can't find a part or component, it shouldn't render your telephone system obsolete. Through our network of 3rd party dealers, we help organizations by sustaining their existing solutions. JDS Consulting is a lot more than just reselling telecommunications parts. We are a full service telecommunications services provider. As we've worked with many of our clients, clients have asked us to do more above and beyond what they initially contacted us for. We're always happy to help!